“Oil, Love & Oxygen” is a collection of songs about kissing, climate change, cult 70s novels and more kissing. Recorded across ten houses and almost as many years, the album is diverse mix of bittersweet indie folk, pop, rock and blues. The Kiss List bring a playful element to Dave Robertson’s songwriting, unique voice and percussive acoustic guitar work. 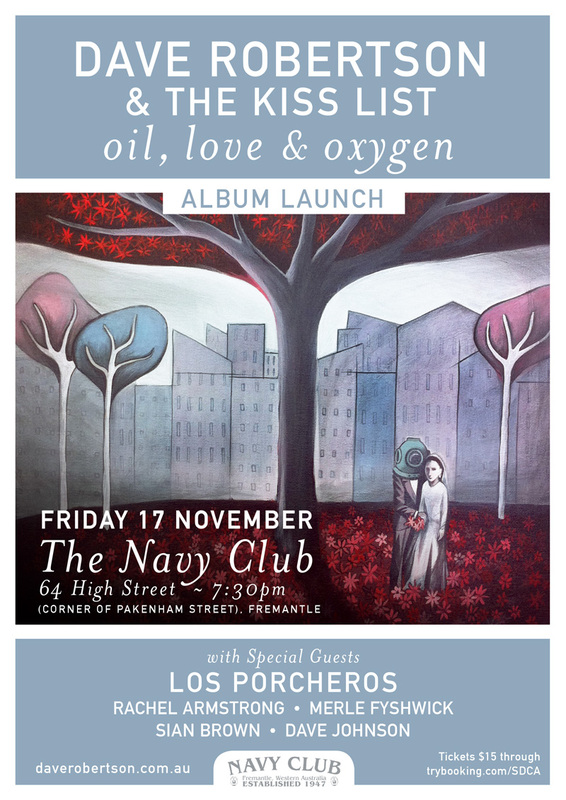 This special launch night also features local music legends Los Porcheros, Dave Johnson, Sian Brown, Rachel Armstrong and Merle Fyshwick.